It’s hard to believe we are less than two weeks away from Thanksgiving! I just wanted to take a moment to talk about what I’m thankful for. As cheesy as it may sound, I’m thankful for all you wonderful readers. Everyone who visits my little corner of the Internet means so much to me. Thank you for stopping by! To show my appreciation, I have for your reading pleasure, another incredible #fridayguestinterview. 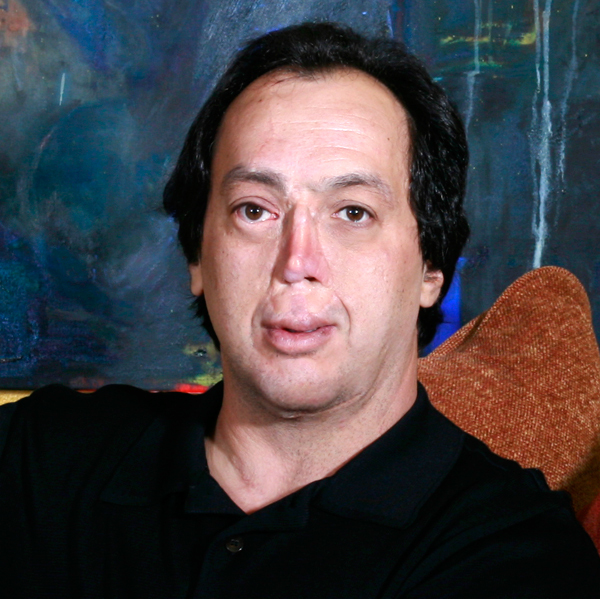 I’d like to introduce you all to Howard Shulman, the inspirational author of the memoir Running from the Mirror. Could you start with a brief introduction to give everyone a chance to get to know you a bit before we dive into the interview? I was born in Orange, New Jersey, and currently live in San Diego with my wife and two stepdaughters. I’ve been writing for about eight years now. When I started, I had no idea what I was doing and attended several writing conferences and workshops. I credit Natalie Goldbergand her classesin Taos, New Mexico, for setting me on the right path. Writing workshops can be so helpful, can’t they? I’m always looking for good ones to attend. I can also attest to the quality of your writing, having already read your book. Can you give us a short synopsis of your amazing story? My memoir begins with the virus I contracted as a newborn that ate away my nose, lips, eyelid, and palate. Shortly afterward, my parents abandoned me at the hospital. As I write in my book, “As quickly as [my] face disappeared, so did [my] mother and father.” I became a ward of the state of New Jersey under the care of an experimental surgeon who attempted to reconstruct my face. Running from the Mirror presents my story of not only surviving, but also of learning to accept myself and move past the rejection. Along the way, I had the support of several wonderful people who embraced me for who I was and not for my appearance. I know nonfiction and especially memoirs can be a lot different from fiction when it comes time to publish. Can you tell us about your journey to get your story published? My publishing journey has been a long one. After dozens and dozens of rewrites and edits and rejections from numerous agents, I was picked up by a substantial agency. I received a few offers from small houses, but with the changing state of the industry, they presented little in terms of advances, royalties, and marketing. I decided to go with the small independent publisher Sandra Jonas Publishing. Sandra Jonas and her team are skilled in editing, design, and marketing, and have worked diligently on my behalf. This kind of support is rarely available to new authors in today’s publishing climate. Oh yes! Sandra is fantastic! I love how invested she is in her authors. Working with her has been such a great experience for me as a blogger. I’ve worked with her in the past for another book her company published and I was so blown away by her professionalism and the faith she has in her authors. 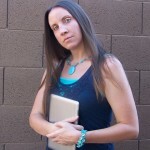 I didn’t even hesitate when she asked if I’d be interested in having you as a guest on my blog. I jumped at the chance! And then I read your book and I was thrilled that I had accepted her invitation. The effort you put into your writing and editing is first class. Your story was hard to read at times, especially the parts about your birth mother. As a mother myself, I couldn’t begin to imagine what I would do in those circumstances. It was difficult to read about what had happened to you at such a young age. But you don’t let the tough parts defeat you, and your story ends on a much happier note than it begins. What is the message you hope to impart to those who read your book? Rejection is a universal theme. We have all experienced it in one form or another, whether by family members, friends, lovers, or colleagues. Of course we take it personally, since it affects our psyche and hearts. I came to learn that we can overcome even the most hurtful rejections—they don’t have to paralyze us. In fact, they can serve to build determination and a never-quit attitude, which have helped sustain me. Forgiveness plays a huge role in this process. Much has been written about the power of forgiveness, and I experienced it firsthand when I met my birth mother. Forgiving her opened the door to feeling worthy of a long-term relationship, and I’m now happily married. That certainly warms my heart—I’m a sucker for happy endings. I strongly felt your themes of forgiveness and how it freed you as I read your book. There are so many inspirational aspects to your story, but how about after the book ends? As you wrote it and even now that it’s been published, do you have inspirational stories you’d like to share about your experiences as an author? I don’t have one story in particular. I do hope that the fact I’ve written my memoir, as a high school dropout, can help inspire others who might not believe they can do the same. It isn’t easy, no matter your skills, and I would often throw up my hands in frustration. But if I can do it, anyone can. Yes, I would say that’s inspirational! The best thing to hear as a struggling writer is that others have been there before. To hear that they felt the same frustrations and doubt is oftentimes just what we need to encourage us to keep going. Sometimes we’re surprised that other writers struggle to write. Speaking of being surprised, is there something you learned from writing Running from the Mirror that surprised you? As my writing evolved, I evolved as a person as well. I had never allowed others to know my deepest fears, anxiety, or pain. To my surprise, I could remove all the masks and be honest to an audience of strangers. My childhood trauma had been pent up inside me for such a long time that when I started writing, I opened the emotional floodgates, and it was liberating to be able to share some of my most personal secrets. Writing really can be cathartic sometimes. I’m glad you were able to find some peace through telling your story. And I remember the part you wrote about finding a book written by someone who had a background similar to yours and how helpful it was for you. I think your book will be helpful for many others struggling with rejection. So thank you for being brave and putting your heart out there for the world to see. Of course I can’t let you go without asking, Are you currently working on a new book? Right now, I’m focusing on creating workshops for memoir writers. The first, in collaboration with writing coach Trish Wilkinson, is called Writing a Memoir: How to Make the Process Rewarding and Your Story Salable. The program draws from Natalie Goldberg’s philosophy in Writing Down the Bones and from Larry Brooks’s Story Engineering to give writers the tools to develop their creativity and help them adapt the elements of a story to their life experiences to yield an engaging memoir. It makes me happy to see writers helping other writers. That sounds like it will be a beneficial workshop for anyone interested in writing a memoir! Do you have any other upcoming, newsworthy happenings? The San Diego Union-Tribune featured an author profile in their Sunday’s edition you can read that article HERE, and Trish Wilkinson and I will be presenting a workshop to the members of San Diego Writer’s Ink on Tuesday, February 9, 2016. I’m also pleased to share that the following weekend (February 12–15, 2016), I will be a guest speaker for the Southern California Writers Conference in San Diego. That sounds fun! For those in the Southern California area, where can they go to get more information on that conference? Brilliant! Thank you for joining us today, Howard. 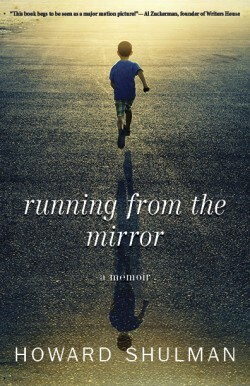 Please read my review of Running from the Mirror HERE. And thank you once more to all you sensational readers out there. I am so grateful for the time you spend with us here on The Writing Piazza. I will remember to think of you all fondly as I stuff my face full of turkey and let out my belt a few notches.